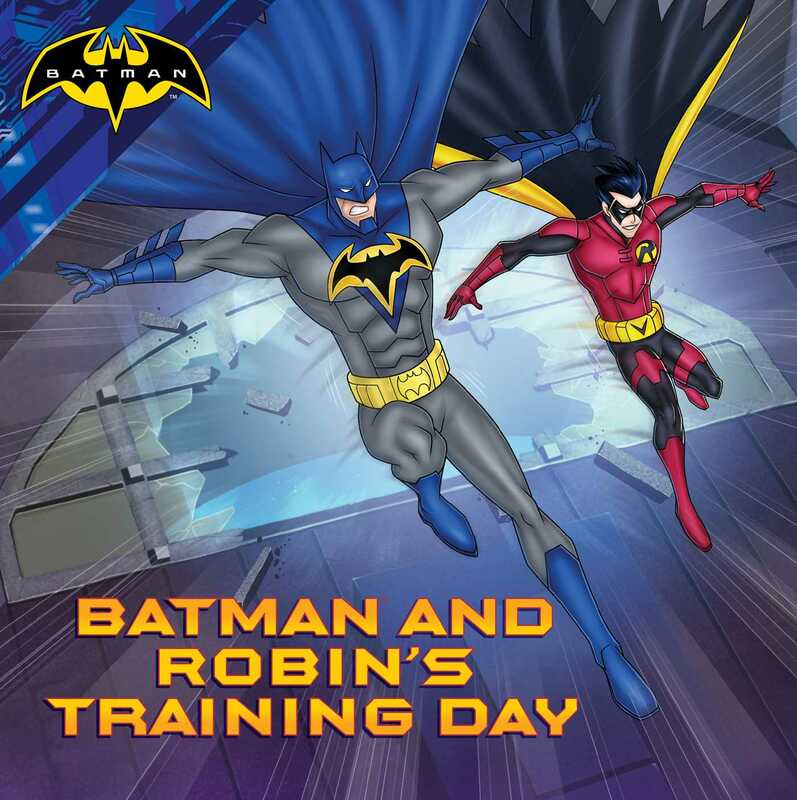 Get a training lesson from Batman in this 8x8 storybook based on the animated film, Batman: Mechs vs. Mutants! Batman is training a new kid, Damian, to be his sidekick, Robin. What does it take to wear Robin’s super hero costume? Follow along as Robin gets to drive the Batmobile for the first time, goes on his first major mission, and learns about working on a team. It’s a good thing, too, because Robin, Batman, Nightwing, and The Flash are about to battle giant supervillains! Thanks to a growth serum made by Mr. Freeze and the Penguin, monsters are towering over Gotham City. Then Dr. Langstrom gives Batman and friends giant mech armor, and the heroes are back in business!